The Wall Street Journal ran a piece last week about what the ebook retailers know about how we are all reading. In fact, all the ebook retailers who manage ecosystems that include apps for using their platform on multi-function devices can see every move their consumers make. We all have the sense that they know something on a per-customer basis because they recommend what we should read next when we visit or through emails they send (and even that gives some consumers the heebie-jeebies). The piece focused on the analysis of aggregated data way beyond just purchases to understand the interaction between many readers and books. Much of what was cited in the article would be intuitively assumed. Readers of fiction tend to finish the books more often than readers of non-fiction and to read them more continuously. Readers of genre fiction tend to read the books faster. Readers of literary fiction tend to have more than one book going at a time. This kind of stuff, in my opinion, actually doesn’t help a publisher or a retailer much more than sales data at the ISBN level already can. Barnes & Noble reports launching Nook Snaps (shorter books) for non-fiction, it is implied in the piece, because they observed that readers often quit non-fiction books before they’ve completed them. But there’s already plenty of data in all retailers’ databases about the performance of shorter works. Kobo started as “Shortcovers”, thinking they’d be the pioneers of shorter stuff. There are independent efforts to publish shorter books like Byliner and The Atavist. And, of course, there are Amazon Singles. Research by Laura Owen at paidContent points to some robust successes there, with over 2 million Singles sold in a year and at least a handful of authors making some pretty decent money from them. In other words, anybody monitoring the sales of shorter works or cheaper works can draw their own conclusions about how they sell without regard to data about the consumption patterns for longer books. But the Journal piece did suggest one kind of data that is extremely worth noting: when consumers show heightened interest in a particular author (by reading that author’s book faster and with fewer interruptions than others) or declining interest (by reading more slowly or abandonment before completion) in one that has had prior success. It isn’t actually the retailer that is most in need of that data; it is the publishers who will bid on the next book by the author who most need to know that. And that brings us to the crux of the matter which is mentioned, but only lightly touched upon, in the story: only Amazon (so far) is really both a retailer and a publisher. This has been on my radar screen for a long time. It was several conferences ago — well over a year — that I asked Michael Tamblyn of Kobo to talk about “what retailers know that publishers would want to know” about ebook consumption. Kobo, which works hard to promote its publisher-friendliness and willingness to share data, readily took up that challenge. “Why would they give them to me?” he asked. Then, as the Journal story reported, Jim Hilt of Barnes & Noble excited our audience at Digital Book World last January by promising that B&N would share data with publishers going forward. I took that as confirmation of my judgment about smart retailers. There have been false starts on that promise since then, but the Journal article says that B&N is now sharing analytics data with publishers. Hilt cites the case of a series where interest from the readers seems to be flagging and suggests it might be a hint that publishers should juice it up, perhaps by adding a video. Of course, he has the analytics data and I don’t, but I wonder if that’s the right reaction. Do videos get clicked on and viewed? Would they add interest or create a distraction? I’d suggest there are three responses more likely to be valuable. The pretty obvious one is to lower the price of the ebooks. (Surely the retailers’ analytical capabilities would show the efficacy of that pretty clearly.) I suspect one thing retailers see more clearly than publishers is the price-banding of their customer base. To the extent that’s true, you can revive a tired backlist title by introducing it to a “new audience”, those who buy in a price-band and don’t consider books above it. Another would be to change the configuration of the offer, such as putting three (or more) books together for a special bundled price. That would gain some attention for the “event” value of a new edition, as well as presenting a price-offer. And the last, totally in the hands of the publisher, would be to offer the author advances based on a lower sales forecast going forward or to stop publishing him or her at all. What would be of even more interest to a publisher, and almost certainly something that Amazon has set to be flagged for their publishing arm, is when a less-known author or book is being read very avidly. That would signal an opportunity for a publisher — one the author herself wouldn’t know about, even if she checks her sales figures and ranks regularly. 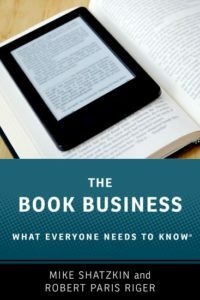 One conjecture that would seem to be worth confirming is that ebooks make continuous series, or multiple ISBNs that form a reasonably seamless and continuous story, more commercially attractive than in the days of print. The Journal story opens with B&N’s observation that the first thing most readers of the first book in The Hunger Games series do when they finish it is to order the next one. And, of course, they can start reading it right away. Successes like the self-published “Wool” by Hugh Howey might be instructive. We spent some time learning about it last week in conversation with Howey’s agent, Kristin Nelson, as background for our Publishers Launch Hollywood conference on October 22 (at which we’re hoping that Howey will appear). “Wool” is a novel compiled from five novellas. Howey and Nelson have publisher deals in place in 10 markets including the UK and Brazil (with sales in Germany and Russia imminent) and the movie rights have been sold to 20th Century Fox. But Howey is doing so well with his self-publishing ebook sales (and a handful of print sales through Amazon’s CreateSpace) that he has so far turned down six-figure offers from US publishing houses. Howey introduced what is now his phenomenon as a single novella on Amazon without particularly high expectations. A combination of reader reaction and Amazon’s response to it, promoting him in various ways, led to Howey writing further installments as novellas. Eventually, five of them were collected into an “omnibus”, which is the novel “Wool”. I suspect that some good analytics at Amazon led to the promotion which contributed to Howey’s success, which he has extended to other ebook platforms. I also suspect that at some future time Amazon will adjust their tactics so they give their publishing arm a crack at an author like Howey before they promote him into stardom. It is worth noting that during the time that Howey’s writing, his readers, and Amazon’s marketers were combining to create what might be a new commercially giant mega-saga, he wasn’t publishing on the Nook or Apple or Kobo platforms. Only after he proved that “Wool” was actually a sensation, did he even bother to make his work available through the other retailers. I think I might find a lesson or two in that if I worked for any of Kindle’s competitors. Now Howey is working on his next two novels, which will also be issued as a series of novellas before they are collected. He’s no secret to anybody anymore. I’m involved in two events this month about very different topics that will both profoundly change publishing. 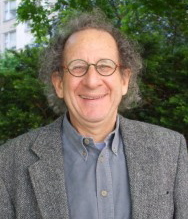 I’m speaking at George Washington University at their 5th Annual Conference on Ethics and Publishing on July 9 about the danger to the publishing industry posed by the DOJ’s suit and the settlement agreement apparently about to be ratified by the Court. And on July 26, we’ll hold our “Publishing in the Cloud” conference at Baruch in Manhattan. We see “hosted software” as a key tool for publishers to cut their overheads and pre-production costs (as they will have to) by almost unimaginable percentages in the next few years. Our conference is the first dedicated to this topic for publishing and we’ll be hearing from publishers large (Hachette, HarperCollins, Perseus, Random House, Washington Post, Wiley) and not-nearly-so-large (David C. Cook, Liberty Fund, Wayne State University Press, Workman) about how they’re employing these new capabilities. A great roster of sponsors will not present from the stage, but our “speed-dating” and “expert session” format will enable all attendees to get their very specific questions answered both by the people they’ll hear present and from many of the suppliers who provided them the capabilities they will have talked about.